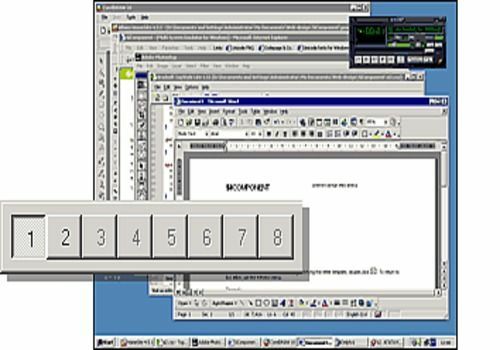 MSEW allows you to create and configure up to 8 virtual screens to simplify switching between different tasks. Switching of virtual screens is performed by using the MSEW panel or by hot keys. This useful tool allows you to distribute applications to different virtual screens and to manage switching among them quickly.